"Your online local coin shop"
Airtite Holder: Bar OnlyIn Airtite (+$0.95) Sold Out! Want to be notified when we get more, or if you have one to sell, please Email Us. Morgan Design .999 Pure Silver Bullion 1 Troy oz Bar, minted by The Highland Mint in Melbourne, Florida. The bar features a bust copied from the Morgan Dollar, with weight and fineness (.999+) and Made in USA imprinted on the front, with repeated squares laid out diagonally on the reverse. Bar measures approx. 2"W x 1-1/8"L. Picture shows the old bars, they used to be shipped in plastic, now they come loose. We NEVER charge sales tax! To buy at the Check/MO (Cash) price please Email us. We also offer quantity discounts and free shipping for 10 oz gold or 300 oz of silver! Have some to sell? Please Email us and let us make you an offer (our buy prices for most common items are here). Selling to Montana Rarities is simple, easy and hassle free. 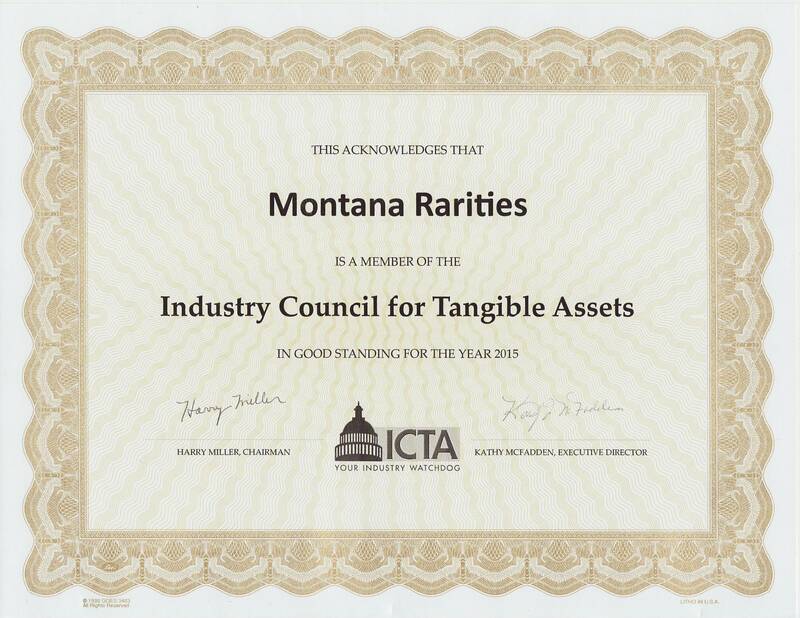 home | about us, shipping & faq | privacy & legal | | send email | view cartCopyright � 2009-2014 Montana Rarities All Rights Reserved.